One of the constant realities of banking – like death and taxes before it – is the obligatory 'pay and pray' mechanics of sending money between banks in Australia. Your friends, eBay sellers and Gumtree traders request or provide that janky BSB and account number, which differs between each institution. You have no idea where it’s going or when it will show up. Neither bank can confirm or deny its destination or origination independently and if it’s the wrong account it’s basically gone forever. Not to mention if the account is closed or locked. Ugh. Since the advent of 'alternative' payment services like PayPal, Square and Crypto, we’ve been told repeatedly that the banks are now redundant thanks to the genius of new technology. But the problem still lies at the source – money enters and leaves the landscape via traditional banking infrastructure. To get funds into Paypal and other online sources requires a bank account or a credit card – both supplied by banks – and withdrawals always need to be into a bank account. So sure, we can buy things from traditional retail sellers, but anyone looking to receive money needs it to end up at a bank – including, eventually, cryptocurrency. So back in 2012 most of the larger banks and payment middlemen got together and agreed that it was well and truly time for an upgrade. The original system isn’t as archaic as it might seem (it’s all digital for one) – it does support immediate (fast) payments, but not without a lot of manual approvals. Most of the banks also still use “batching” methods of payment transfer, which involve stacking millions of individual payments into a single lump sum and transferring them to the other bank in one go. This is because the clearing house, which monitors and moderates all this currency movement, needs to approve each transaction and sent it in a manner the other bank supports. Under the old system which once required a lot of administration, this was much simpler from an admin perspective, but with today’s technology it’s completely pointless. The New Payments Platform, or NPP, effectively allows direct communication between each bank’s systems by standardising their payment mechanisms. Like BPAY before it, which is a centralised clearing house for bill payments from all banks, the NPP allows instant clearing house approval on individual transactions between banks. It was built from the ground up to completely replace the existing network, which had been augmented and bolted on since the late '70s, to take full advantage of new database, IP and API technologies. So now – when you send a payment – the entire transaction is completely streamlined because all parties are on the same page. The bank contacts the NPP server for authentication of both accounts (sending and receiving), NPP contacts the clearing house server for the OK, then facilitates the money transfer. This is all done in microseconds, 365 days a year, 24 hours a day as opposed to the days when transactions had to be batched and authorised within business hours. It also allows for a ton of cool new features that should make things less painful. But first – what is Osko and PayID? Well, it’s important to understand that the NPP is simply a platform of standards that all the banks must emulate. So when new services are introduced that involve intra-bank transfer, it has to now involve the NPP to work. Osko is the first service built on top of the NPP – it effectively allows for the fast transfer of money between two bank accounts. You can either use a PayID – which is basically just a shortcut for your bank account info (like an email address or a phone number) – or your old school BSB/Account number. So, the next time you need to split a restaurant bill, for example, your friend can just send it to the mobile number he already has stored in his phone. Osko is just a basic service that gives the banks an easy, standardised, product offering. Osko and PayID are available from every bank that uses the platform, so there’s no confusion if different banks decided to make their own little names and brands for the same thing. You want to make a fast payment from your internet banking website or App? It goes through Osko. There in seconds, easy. It also checks the name of the account before sending AND allows 300 characters for payment info. Fast transfers haven’t generally been the problem with how we facilitate our financial transactions – if they were we’d all be using Paypal to send each other money (we don’t) – it’s the lack of interoperability and information. The NPP allows a significant amount of data to be sent and parsed about each individual transaction, as well as a loosening of currency amount restrictions as individual transactions are authorised at the point of transaction rather than processed later. Fraud can be monitored in real-time and accounts can be closed/locked much more quickly than before as banks will no longer have delays or differing account information between transactions. What will be interesting in the months and years ahead is when the NPP releases the API to the platform to approved developers who can develop their own apps and services. How about an app that uses QR codes or PayID to facilitate an alternative to pay pass? Or another that knows you and your mates are at a restaurant and automatically calculates and transfers a split amount to the central payer? Or another for house or car sales that sends the correct amounts between banks, lawyers, governments, sellers and conveyancers in a single, tracked, transaction? Or an improved Medicare/Private Health app that allows tracking of claims along with instant payment? A Gumtree/eBay app that instantly releases money to the seller at point of sale. The sky is the limit. 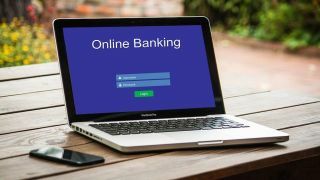 The NPP is being gradually rolled out to over 60 participating banks and the organisation running the platform (NPPA) claims 80% of Australian bank accounts will be active on the system by the end of the month.